When I started The Grocery Game Challenge last year we were stocking up on lots of food and soon realized that we were buying too much food. If you stare at the food in your house and know that it’s been there for ages, you’re likely buying too much. If you are a regular reader of my blog you know that I quit smoking as well last year and since then we’ve learned lots about our eating habits. Different people require different foods depending on their personal circumstances. We can easily see grocery budgets go up in expenses but with time we can also see that if we stop eating too much food we can further reduce those costs. Purchasing groceries on a budget means you will plan what you are purchasing and learn how to effectively use the foods you buy to create meals to fit your lifestyle. Just recently with the wife going on a low GI diet we both noticed that it wasn’t so much what we were eating as we generally eat very healthy. The problem was more so in the fact we were eating too much food. In a conversation with our friend who is also a doctor he explained that many people tend to more than their bodies need. He also went on to say that people who go on low-fat or fat-free diets may eat too many carbohydrates that the body struggles to process. He’s been helping my wife by answering questions she may have as well as offering suggestions such as not using EVOO to cook but if we do to add a knob of butter. He suggested using coconut oil which we already do and find the Grace Coconut oil to be the best brand so far. We picked that up at the Bulk Barn using the Spend $10 save $3.00 coupon which makes it a great deal. He has suggested to eat portioned amounts of butter, bacon and sausage as the body processes proteins but limit the carbohydrate intake as we simply don’t need to eat that much food. Portion sizes are critical to eating the right amounts of food and if you don’t believe me you would be shocked to see what a portion size really is. You know those lean cuisine meals? Although I’d never buy TV dinners or prepared meals the nutrition label tells is like it is. We started to find that when we would eat too much food we would feel bloated and just not an overall sense of happiness even though I would work out every day. It’s easy to get caught up in good food when it’s all around us but we have since learned we can eat it, just not too much of it. Some other effects of eating too much food for me was acid reflux especially if I ate too much spicy food. I find that I am not taking my medication much now since we have changed how much we eat and what we eat. If you remember our friend Bonnie who got fit on a budget and has lost a significant amount of weight by including walking every day as well as portioning her food while making healthy food choices. Her results speak volumes for anyone who wants to lose some weight or simply stick to a healthy eating regime for life. Good Question and for us it’s anything that is not processed. I found a great photo the other day on Pinterest. I found it on Tracey Bregmans Pinterest (yes the lovely Tracey from The Young and The Restless) who is also a vegetarian. It ranks te top 20 fruits and vegetables by nutrition which I thought was lovely. We certainly enjoy many of these foods in our cooking. When you read the calorie count, fat count and other nutritional information and then look at what you get for all that you likely sink in your chair. You already feel like you will be starving and that you won’t even feel like you’ve eaten anything at all. The reality is that we should be consuming enough food in accordance to what our nutritionist and doctor recommends for our body type, activity level, health and Body Mass Index (BMI). We have started to weigh and measure our food so we get a better understanding of portions and how much we should be having. I found out some of my meals contained enough food for 3 people to eat. I’m a healthy eater but I’m also very active. I can stand to eat more calories with the amount of daily heavy lifting I do and exercise but that doesn’t mean I have to eat enough to feed 3 people. If you are not sure where to begin, talk to your doctor which I highly recommend. The more carbs we eat the more work we have to do. We also see a spike in our insulin levels as well when we eat too many carbohydrates. Eating has been a challenge since we quit smoking but we vow to get back on track to healthy eating because eating too much food is simply not good enough for us. What food challenges do you face in your diet? If you missed grocery game posts for this month just click on the links below and post your shops in the comment section. Weekly Overview:Well it seems we only needed vegetables and fruits this week so it helped keep the budget down. We are really working on eating what we have in the house to help the overspend from last month. We didn’t find any manufacturer coupons this week although we only went to one store. I’ll keep my eyes peeled though. We budget $100 making this month $500. Stocked up on a few things and got a few awesome deals! Did go over budget due to an invite out for dinner and bringing a few items. We did buy a lot of snacks but when I work I really need a snack before I get to have a break and lunch, sometimes five or six hours so at least I got them on sale. Hi from Guatemala Mr CBB! Here is my shop, grab a cuppa, it’s big, and this one is going to hurt… we went to a sort of costco like we did in December and went a little crazy. The place is called PriceSmart, I think you have a chain called the same in Canada but not sure it is a membership one. Weekly overview: so now you see all the not so healthy food we’ll have over the next 4-5 months. We have blown over the budget of June by May 27th and still need to shop for real food, there is a little meat in the freezer but no veggies or fruit, will do that tomorrow on the way back. All the cheese, bacon etc. will be frozen, last shop like this was back in December so I hope that cost will spread at least until August. Since it will be eaten from May 28th I prefer to call it a June shop. Total Grocery Budget for the Month: $142.82 to spend in France in May, $274.20 in June. Total Over/Under spend this shop: $14.36 over already for June. Total Spent To Date This Year: $802.92 for two + $105.72 for me in May. To put things straight again, I am doubling my May spending, $1,014.36 for two spent since January. I think both you and Mary want me to drink lots of tea lol. That’s awesome you came under budget for France considering all that you did,well done. WOW toilet paper is so expensive I won’t tell you how much I pay but it can get just as pricey here for something we wipe our arses with and flush down the toilet. I’ve seen 30 rolls for $18.99.. no thanks! I use coupons and get 8 double rolls for less than $2 .. but all out of coupons now but well stocked up for a long time. Mmmm all that goat cheese you are so lucky that it is a great price. So you essentially loaded up on big stuff! Those artichoke hearts we had from Costco and they are delicious on fresh bread with mozzarella… the shampoo is price but the Nutella is about the same price. Your beer is so cheap wow. How come so much brown sugar? Is that used more than white sugar? Since you don’t really budget then your overspend is compensated by you just knowing how much money you have to spend every month, I presume? You can call this your June shop “take 1” if you like lol.. Well done, you did pick up some fantastic deals….. now you have to cook for us 😉 Cheers Pauline! Keep up the good work. I can’t wait to see your end of year total! No, I want to stay in the red and keep the $200 per month to see how long it takes to climb back. TP is more expensive than usual because BF’s sensible little cheeks complained I was buying the cheapest brand. So we got the one with the puppy on it and paid extra for the puppy prints I guess :). Brown sugar same thing, BF saw a documentary and decided no more white sugar. I don’t use it but the man has coffee, sweet lemonade and sweet everything so that is mostly for him, and there was no smaller bag, I guess we are set with rice and sugar for over 6 months. He doesn’t remember the name of the sugar documentary, it was sthg about processed and refined foods like the stuff from youtube people share on FB…still impacted him a lot! •Weekly Overview: So I was a bit over this week even with my coupons but I was able to stock up a bit on sausages and am in good shape overall for the month. The hamburgers I got on sale but still seemed quite pricey considering the box only has 6 burgers in it. Do not think I would have bought them if I didn’t have a coupon. Have not tried them yet though so we will see if they are worth the cost or not. Did not try to attempt No Frills this weekend with the dollar sale as I can’t stand the crowds and they always seem to be out of the sale items I want the most when there is a good sale. Perhaps I will try during the week. As for the topic of carbohydrates, that is something I have to work on. I just love my potatoes, pasta and rolls. Thanks for the info in your post Mr. CBB. So I’m over for the week but I still have $81.65 left for the month and the last week. Having to go in on Thursday was a pain in the wallet. Hopefully I can keep things nice and low for the next few days. Hubby is on a banana kick. I bought those bananas at FB the other week at .57 a lb and they sat there until I finally tossed them in the freezer, right after that he just had to have bananas….at .79 lb!!! So not impressed there. The Gatorade is a regular purchase in the summer and was on sale so there was a slow stockup…. this week it’s Powerade on sale so that’s what I will be getting. Chocolate milk is on too and that works out cheaper than white…$1.00 for a litre against 4.79 for 4l… The younger boy bought the rhubarb we’ve been eating which is why it doesn’t show here…. his money…it helps… It’s looking not too bad for this week so we shall see….. I will be watching things very closely…. Total Over/Under spend for the month of May: Will probably always be over…..
Weekly Overview: Yes, I’m over budget again but the food that is slowly being added to the cupboards, freezer and fridge will enable more home cooked meals. It’s a work in progress but I know that I’m slowly getting there. This shopping trip, I was able to use a couple of coupons that I received from you (Mr. CBB) which I do very much appreciated. So far this month, I’ve included the dollars that I’ve used to eat out in my food budget, starting next month (June), I’m going to separate this category so that I can get a better picture of these categories to really see how much I’m spending for the groceries that I’m buying. I’ve already separated the pet budget, this will be my next step in my progress. I want to try making whole wheat tortillas next time so that’s what the flour is for. I want to make tacos with lentils so that’s why i bought the green ones. I might be more discerning in June as my MIL will be on vacation in Europe for two weeks. So without her card I will probably spend less lol. Dinner – making a double batch of Peasant Cabbage and Tomato soup with homemade Gluten Free cornbread. This will give us leftovers for 3 more meals for two. Yay! Dinner: Hamburgers served with sliced onion, tomato, marble cheese slices plus mayo/mustard/relish/ketchup. Hubby has his in a standard hamburger bun, but my bun is a gluten free bun. We’ll have dill pickles, a little green salad and a bit of coleslaw to round out the meal. I would love that soup Mr CBB but I can’t have barley as it has gluten. 🙁 Beef n barley used to be one of my favorite soups but that bit the dust. Weekly Overview: So, my no shop week didn’t work out too well. I had to get a few item because I could stretch them out any longer. I also ate out over the weekend. I totally just said screw it and went to Golden Krust because I was on the road and it was convenient. Next time, I’ll eat before I leave home. That’s a smart thing to do and I talk about that in today’s grocery game, shopping while hungry and the same applies when you are on the road. Sometimes it doesn’t work out but look at what you spent this week only $15.01. If you really were shopping like normal you would have spent lots more so pat yourself on the back. You will do better next time. I can see the improvements, I hope you can too!! Weekly Overview: We did end up doing a potluck so you can see some items that aren’t usually on my list like pop and paper plates and dressing. It’s a start, but I still shudder when I see my eating out budget for the month. 🙂 I did receive your advice on the last post, and have decided that most of our entertaining involves eating out as well, so we could probably use some of our entertainment budget towards eating out as well. Overall, I think if we strive to save 70% of our income, then we should be okay for the moment. You have all the answers and you just need to fix the concerns now. I was going to say you don’t normally buy pop or dressing lol. Your eating out budget is alot. I can see if you are both making loads of cash, little to no debt etc but spending that kind of cash eating out is too much in my opinion but it’s your money haha. If you go to the Asian stores I find the vegetables are cheaper sometimes. Do you have any shops where you live? You get ballog #18 P.S you didn’t go over by too much considering the pot luck…. so good stuff!! I always crush it in the evening…and my “crush it” I mean “crush any plans of eating well.” That’s why I avoid the kitchen after 7 pm. I’ll find myself absentmindedly with my head in the refrigerator…. I’ve been reading Michael Pollan’s In Defense of Food this week, and it’s quite interesting. I highly recommend it if you’re looking for a new read! I think you bring up a great point in that it’s not always what you eat but how much. I know I struggle with this as I eat healthy, but sometimes too much as well. For instance avocados. I KNOW they are good for me but I swear I could eat a whole one every day. And that’s a lot of calories…which don’t get burned off as easily as you get older. And it affects the bottom line of the grocery budget as well. I’m so glad to see asparagus is #1. I LOVE roasted asparagus! That’s just it.. many people eat more than they should and that packs money onto the budget. 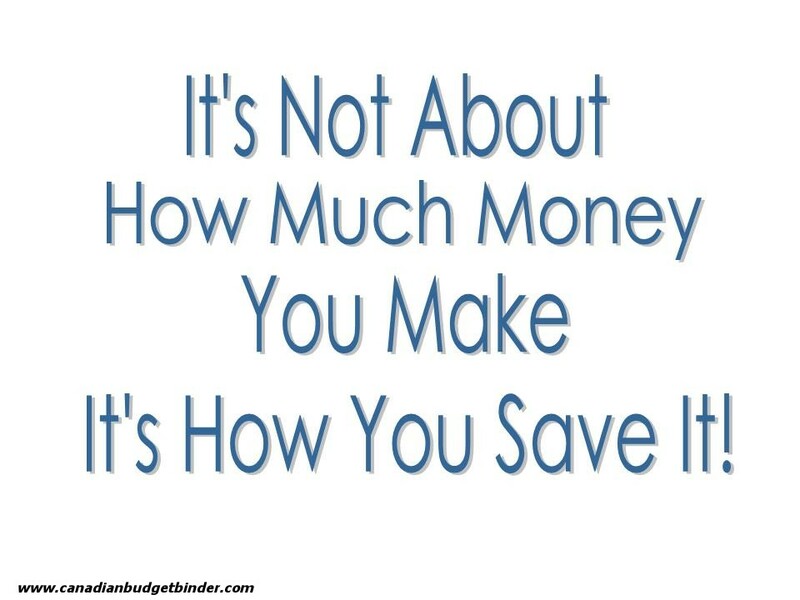 It’s a great way to drop the budget but it’s also a great way to buy less but maybe more quality products as well. I love avocado, so does Pauline. I can find asparagus in the wild over here in June and its amazing. We saw a pot of asparagus at the garden centre for $10 tonight, rubbish! I’ll just go pick it and grow it lol.. The thing is meat isn’t all that bad it’s the carb loading that people need to cut back on. Like yourself there are others who don’t find eating big on the priority list and yes your portions are likely what we should all be eating. I’ve stopped with the bread except for pita and wraps if I make them and cutting back on the pasta etc. My mate said if we are going to eat rice just eat the white as there is not much difference from the white to the brown just eat less of it. Most people have a full plate of rice which is far too much he says. Portion control is tough but it will help many people, including us. We even have smaller plates now, put the larger ones away. Mr CBB, I use what used to be dinner plates as serving platters now. One dinner plate is a serving platter when you are eating from salad plates. 🙂 I figure there’s no need to toss perfectly good stuff when all I have to do is re-purpose it. That’s true. I’m with you as I would rather load up on some veg rather than bread. I like bread but I’m not a big bread eater. I even bring hot meals to work rather than sandwiches. Our not eating as much meat has more to do with trying to keep to the budget as anything else. I get the white rice too as that is what will get eaten here. I’ve cooked the wild rice once in a while, the boys will eat it no problem, hubby can be the fussy one… Left over rice goes into fried rice for another meal… as I’m sure you have seen with my What’s for Dinner comments. Using smaller plates helps keep portions small too. When the kids were little I used the small sandwich plates for them. It worked great…. I’ve read Michael Pollan as well, actually have In defense of Food and his other one too. Very good reads…. Until I realised what a serving was, I always wondered if something was wrong with me. I’m more of a grazer, and would rather eat lots of smaller meals. People, if they see me eat, would comment on how little I eat. I’m relieved to find out, I eat normal, but most other people are overeating. About a couple of years ago, at my yearly check up, my doctor said I should gain a little weight. I am 5’1″ and was about 108 lbs then. I felt great. (the doctor was smaller than me) So…I ate lots of apple pie..yummm. But then my clothes were too tight, I felt bloated. I went up to 119 lbs. I hated it. Now I will listen to my body, and do what I think is right. Going into my 50’s my metabolism has slowed down even further, so getting my weight under control now is very important to me. Good for you Mr CBB! This is a really exciting journey that you and the Mrs have begun! I will not be posting my grocery shop until next Monday because I will be doing some US grocery shopping on Sunday. Well said Mary and that’s my point. For those that struggle with buying quality foods they could decrease the amount purchased. I’m not sure I’ll be talking about anything that requires a degree or professional knowledge but I may look into it and quote something so I’ll have a look for sure. You are lucky to have the extra cash. This month has been tough but we will make it through…. I hope! Even if we go over $20 and carry over it’s better than nothing at all. I can’t wait to see what you score in the USA….